In 2015 ‘the race that stops the nation’ left audiences on the edge of their seats. The 155th Melbourne Cup saw female jockey Michelle Payne gallop into first place after experts queried if a male jockey should be in the saddle instead. 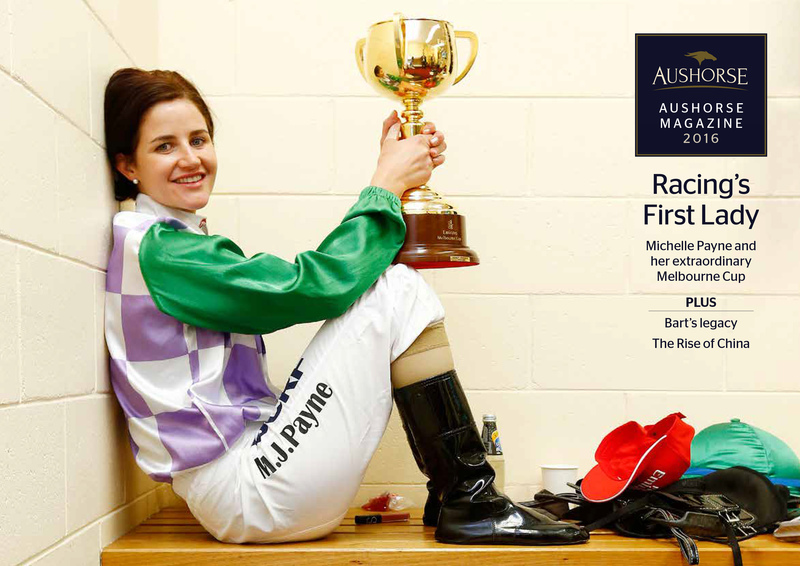 In the latest edition of Aushorse Magazine the historic win is recalled with exhilaration and highlights the rise of the female jockey. The magazine, created to encourage investment in Australian horse racing from overseas, also looks at the rise of horse racing in China and examines the impact of Bart Cummings on the horse racing industry.